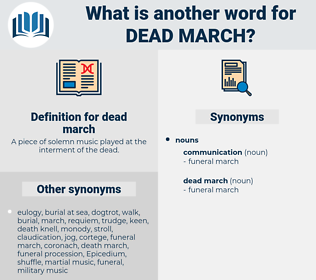 What is another word for dead march? 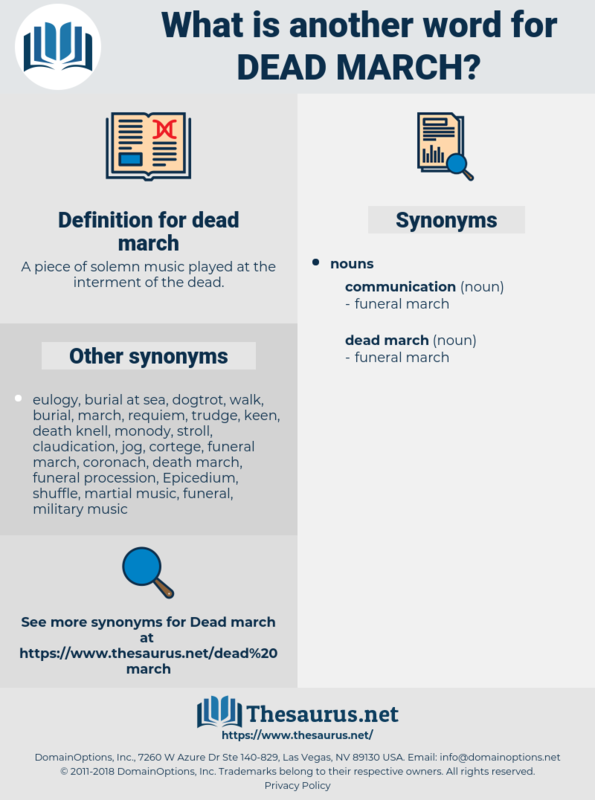 A piece of solemn music played at the interment of the dead. dawn horse, demurrage, datemark, danmark, date-mark, do the honors, Don Marquis, Dame Myra Hess, de-energise, demarche, de-energize, demiurge, denmark, ditto mark.